Mumbai: William Penn has come up with Pennline launches which host the diversified collection of pens. Inspired with the righteousness of legend Pennline has launched Atlas, Hercules and Carina collection with a perfect combination of refinement and practicality. The lacquer used in the trio collection adds luxurious sheen to the brass body of the pen. You won’t deny looking different, in the modern world of luxury to step out with the exclusive Pennline collection. 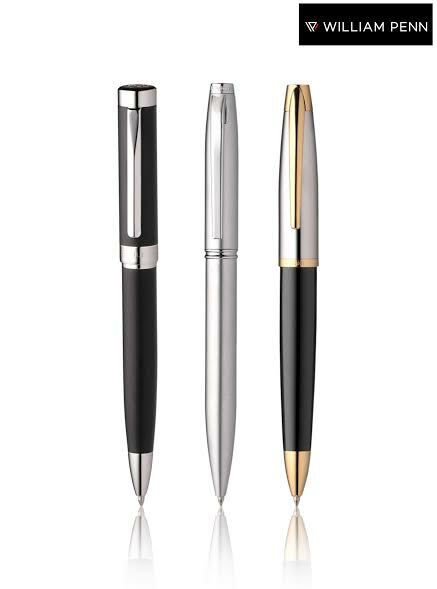 The magnificent collection of Ball Pen and Roller Ball Pen can be transformed into a personalized pen or the company logo which can be a perfect personal and corporate gift. The trio collection is exclusively available at William Penn stores across India, price ranging from Rs 995/- to Rs 1950/-.